In a Theocracy, God decides the rules, the laws and how the governing of the people works. He judges and decides punishment. He directs the use of possessions and how they are bought and sold. He decides how relationships between people should be handled and the consequences for not following his rules. If there is a king, he is under the direction of God – just like everyone else. As we read through the laws written in Exodus, Leviticus and Deuteronomy, we see God addressing all areas of the Israelites life. Because God was the head of everything. Is that true of our lives? We don’t have a theocratic government but we can choose to have a theocratic life. This means God’s direction and desires govern ALL aspects of our lives, not just of some of them. Most of us have the main commands of loving God first and loving others as ourselves pretty engrained in our heads. 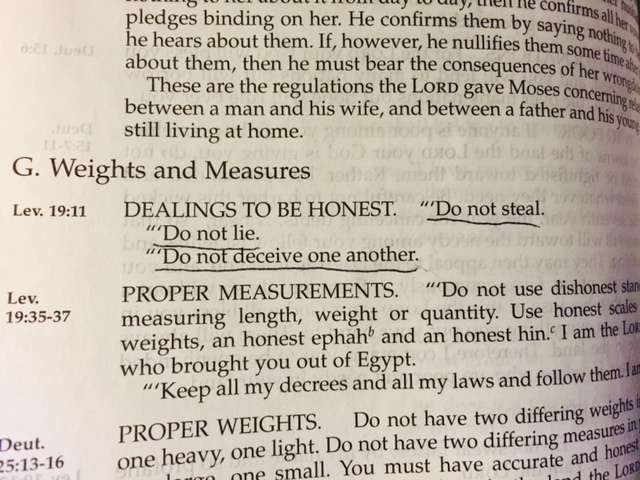 As we read through God’s laws, its interesting to see that some of the details still translate into our lives today. What does God say we should do if we find something someone has lost? How should we care for other’s possessions – like the cars parking next to us in the parking lot? What is the payment due if we argue with someone and emotionally hurt them? If we’re selling something and someone offers us more than we know it is worth – what does God tell us to do? Please help us look to you for direction in all parts of our lives, dear Father. What’s Happening with Our Excess?